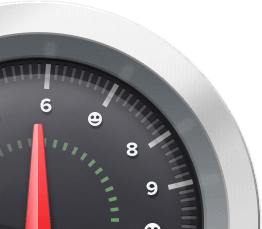 Improve performance and stability with one click, and it's 100% FREE. Is your PC like this? There is nothing better than the feeling of a brand new PC. 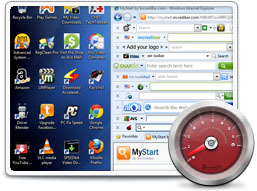 However, over time your PC quickly becomes sluggish, bogged down with tons of programs and clutter. With Boost, one click is all it takes to make your PC feel like new again. When all else fails… reboot right??? Isn’t that what we do when our PC slows down? Rebooting sometimes works, but it's a huge inconvenience. Next time, instead of rebooting, just give your PC a quick Boost and get it back on the fast track. 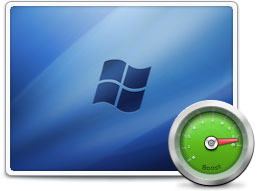 When a program or Windows crashes, Boost can quickly analyze, troubleshoot and find a solution to prevent future crashes by identifying and correcting the cause of problems. The leading cause of PC frustration is the sheer amount of unnecessary programs our PC is running at any given time. Which ones should you remove and why becomes the question. Boost takes out the guess work by quickly removing annoying crapware. Boost has received an average rating of 5 out of 5 stars based on over 100 qualified reviews by independent experts. For a limited time, from now until Wednesday, April 24, 2019 you can purchase Boost for 40% off of the normal price, only $39.95 $24.95.